Wadi Shab is one of the magnificent wadis of Oman that Oman is popular for, the wadi is in Al Sharqyah regions Located 40 km south east of Dibab. 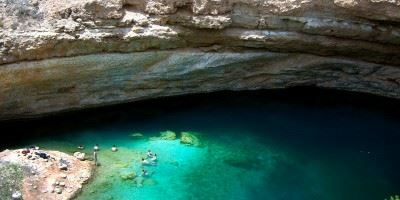 The wadi has about 2-3 pools with crystal clear water and a magnificent waterfall, a couple of kilometers separate the almost identical wadi Tiwi which is more unspoiled that Wadi Shab Cave, wadi Tiwi is a narrow deep gorge as well as Wadi Shab. wadi tiwi extends about 36 km, Midam is the small village of the wadi while the whole area has several groves and trees. Depart Muscat then head towards Sur -the capital of Al Sharqiyah region. 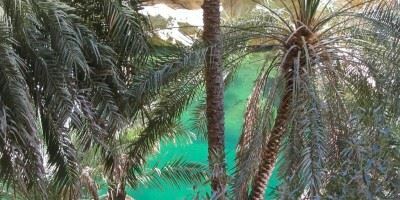 Head to the magnificent long white Fins Beach continue to reach the enormous canyon gorge of Wadi Shab Cave, the wadi is lined with palm trees and banana plantation. Enjoy a 45 minute of coastal trekking through the canyon, now you reach bond of crystal clear water pools enjoy swimming in this clean crystal water, the water of the canyon is warm most of the year. 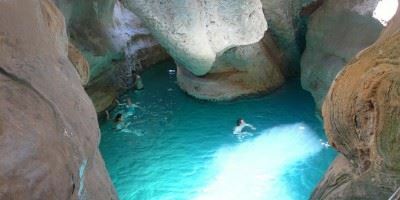 When you reach the last pool where a Keyhole “an opening among the enormous rocks“ which allows you to swim through an incredible cave with a small waterfall inside with beautiful turquoise blue water which makes Oman Wadi Shab so special. The Sharqiah Sands or Wahiba sands Oman were named after bani Wahiba tribe ..